Below is the overall Star MegaDO 8 schedule. Additional events and activities may be scheduled – expect a few surprises! See also: Pricing – FAQ – Legal. Should you have questions, join the conversation at InsideFlyer. Overnight in Vienna at the NH Vienna Airport Conference Center hotel or at the hotel of your choice. The special MegaDo rate is 123 Euros +tax and includes breakfast. To book, email [email protected] with name of the guest(s), arrival & departure dates, and promotion code StarMegaDO2017. Presentations by Austrian Airlines and Vienna airport executives, and product overviews. Group 1 tour: Airport operations: a fascinating look at the teams, tools and processes that keep VIE running, including: winter service and snow clearing, police dogs, and the fire department. Group 2 tour: Austrian technical base: kick the tires! We’ll check out the Austrian hangars, and tour maintenance operations. Join us for a celebration of the 20th anniversary of Star Alliance at the VIP Terminal, featuring a rooftop terrace! Bring your #avgeek-ness, good looks, and mingle with fellow MegaDo-ers! Champagne will be flowing and heavy appetizers will be served. 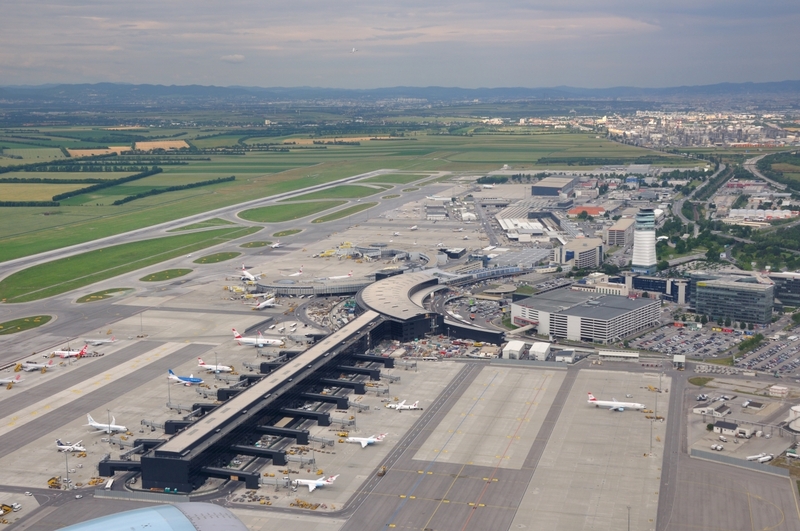 Overnight at the NH Vienna Airport Conference Center hotel or at the hotel of your choice. Participants make their own way to the airport. Be sure to be on time as we are unable to wait for latecomers! The MegaDo party flight takes off from Vienna airport. Our aircraft will be an Airbus A320 operated by Brussels Airlines. Breakfast is served on our 576 mile flight. The MegaDo flight lands at Brussels airport. Join a behind-the-scenes tour of Brussels airport. Tour the Brussels Airlines Operations Center. Meet and greet with the CEO of Brussels Airlines. Meet Leonidas, the famous Belgian chocolatier. We depart for Palma de Mallorca! Lunch is served on our 788 mile flight. Land at Palma de Mallorca airport. Bus transportation to the Park Hyatt Mallorca. Join us for a cocktail reception at the Park Hyatt Mallorca. Overnight at the Park Hyatt Mallorca (host hotel). As an alternative to the Park Hyatt Mallorca, consider the two Universal hotels on the beach — about a 20 minute walk or less than 5 min ride. Shuttle transfers to/from the party will be provided. A day with Hyatt at the Park Hyatt Mallorca. Optional bus transportation back to the airport at 3:30pm. Join the MegaDo crew for dinner at Porxada De Sa Torre, a fantastic pig restaurant. Enjoy a suckling pig dinner, Iberico Ham starter (substitute for seafood) with 2 glasses of wine for 55 USD per person. We will eat outside weather permitting. The schedule is subject to change. A detailed schedule will be provided on the first day of the event and will show where to meet on a daily basis. Participants are expected to meet on time – we are unable to delay our flight schedule in order to wait for latecomers. Participants who miss scheduled transportation to an event will need to arrange their own transportation to the event at their own cost. Registration for Star MegaDo 8 opens on May 11th at 9am Pacific! Star MegaDo 8 has sold out! We’re sorry, but Star MegaDo 8 has sold out. Please consider joining our waitlist. We will notify promptly should a seat become available. Thank you for your interest!